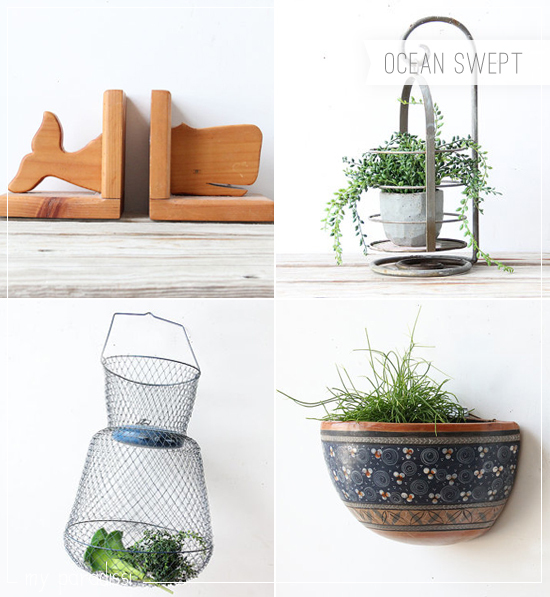 I'd love to share with you some of the vintage finds that Kalyn has gathered in her etsy shop, Ocean Swept. What really impressed me about them is that they have this sort of weathered appeal (as any good vintage possession must have) combined with a coastal freshness and that makes them a cool addition to a summerish decor. Particularly the driftwood shelves that Kalyn has handcrafted herself are just perfect for a summer house or cabin by the sea. You can find lots more of these beauties on her shop. 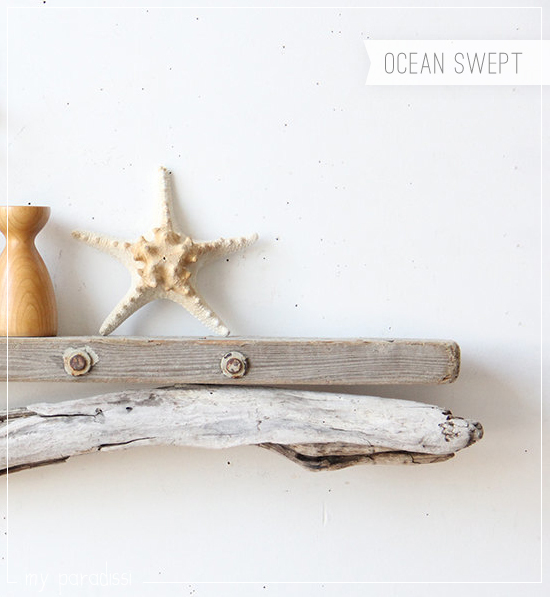 4 comments on "Ocean Swept"
so cute!i love coastal style! i have a friend in Panormo-Rethymno that makes the same kind of things like in photo 1! I always to see souvenir items from the shore. It feels like I can smell the cool breeze while on the ocean whenever I look at those.